Céspedes after his grand slam. 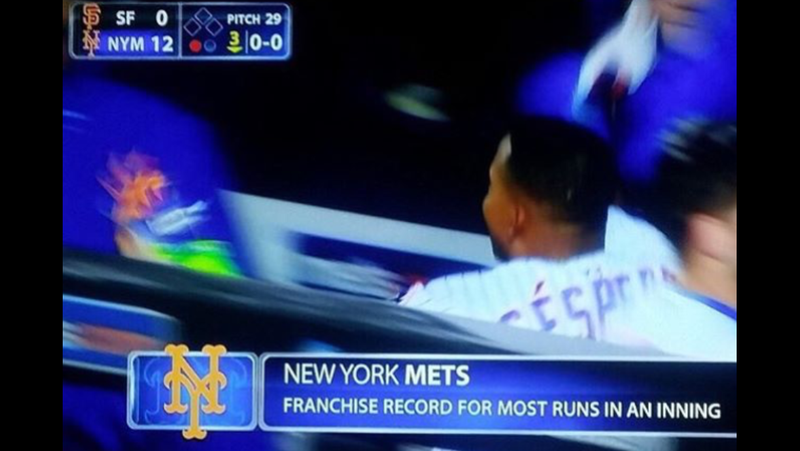 He had six RBI in the inning and the Mets brought 15 men to the plate, scoring 12 runs. Just remember, it’s only 1 game. It’s gotta feel great, though, to treat Peavy and the SF pen like a slow pitch softball team. With Cespedes back in the lineup, Conforto doesn’t constantly get stranded at 2nd base! Matz is bringing that ERA down! Will we be fatigued today? Did we reach our run quota? This is a team that’s having fun right now and hopefully that means they keep rolling.